Dr. Moore and I got in touch right after I launched my healthcare-focused branding and web design business, Humm Design. 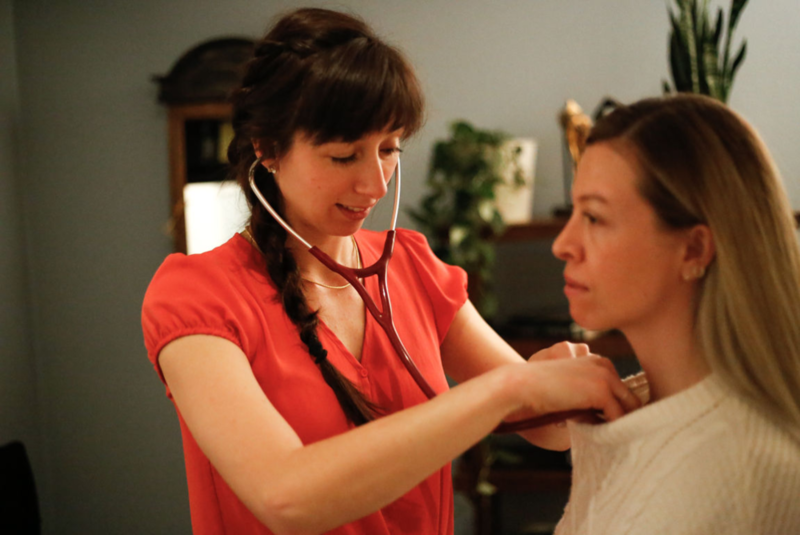 As a naturopathic doctor focused on the psychological underpinnings of chronic illness, her practice centers around the habit change and personal growth of her patients. That being said, she wanted a brand that felt warm and inviting, but invigorating and representative of change. She came to me with her special, self-designed icon from years ago, so we kept that element the same in this rebrand. Fall-themed colors spoke to her, so we focused on finding the right color palette and going from there! Professional photography courtesy of Portland-based photographer Annika Bielig Bussmann. Dr. Erin and I showed her the branding I had created and worked to convey the feelings we wanted the images to portray, as they would live on Dr. Erin’s website and ultimately be part of her brand as a whole.